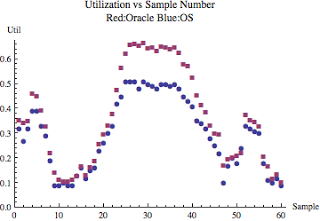 Only a fool would challenge the ascertain that the Oracle Database wait interface has not profoundly changed the terrain of Oracle performance tuning, performance optimizaton, analysis and diagnosis. But sometimes we push the Oracle Database wait interface too far and expect too much. In this blog entry I will demonstrate that using the wait interface to determine the number of non buffer cache reads (i.e., "physical" reads) can not be satisfactorily determined solely through the wait interface. But I will also provide a solution to this problem.